Welcome to Aluminum City, Pacific Beach's best value for patio covers, California rooms, window awnings, door hoods, and carports. 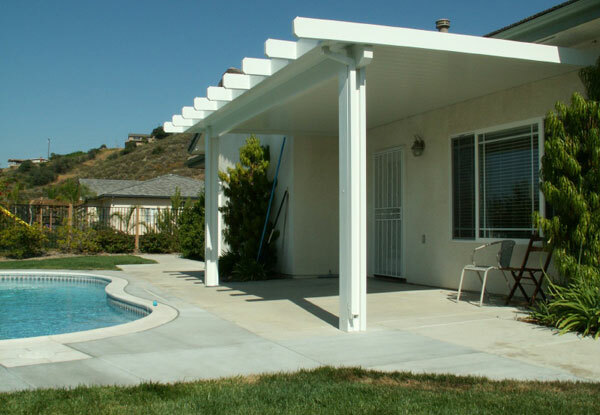 For over 50 years, we have provided thousands of satisfied clients with exceptional patio cover sales and installation services at some of the best rates in San Diego County. With any of our outdoor shade systems, you'll benefit from increased protection from the sun's harmful UV rays, expanded work or living areas, and an increase in your property's value. Aluminum City is an authorized dealer for Four Seasons Building Products, which means that our patio covers, patio rooms, and carports are always fabricated from the highest quality structural aluminum and according to the industry's best practices for construction. Additionally, with each of Four Seasons Building Products' products, they apply a primer before any paint is applied for added durability and corrosion resistance. They believe so strongly in the quality of their products that their patio covers, carports, and patio rooms are all backed by an impressive Lifetime Limited Warranty. We offer some of the lowest prices available in San Diego County. 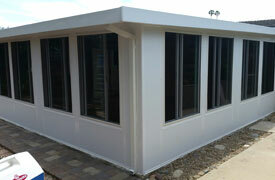 In fact, we typically are able to outbid the vast majority of local San Diego patio cover companies. Call licensed, bonded, and insured Aluminum City to work with a patio cover company that is dedicated to complete customer satisfaction. When you call, you'll speak with one of our owners, who has more than 30 years of hands-on experience and can be trusted to provide honest, expert recommendations. At Aluminum City, we have decades of experience in the design and installation of patio covers. Our patio covers require little to no maintenance, are highly customizable, and last for decades, making them a great investment for any outdoor area. When you are ready to start planning your new patio cover installation, give us a call to set up a consultation. We'll bring photos of past work and review all of your options. Design options include selecting the color, texture, end cut, style, insulation, surface or floor mounting, etc. All our patio covers are termite resistant, weather-proof, and essentially maintenance free. The patio covers at Aluminum City are made with precision and care to ensure our customers receive the best value for their investment. 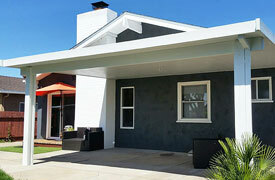 We use high quality materials from Four Seasons Building Products, one of the industry's leading manufacturers of outdoor shade structures, in our awning products so you can trust that our distinctive, custom-designed patio covers will compliment, protect and cool your residential or commercial property in Pacific Beach. At Aluminum City, we offer Pacific Beach the best value for high quality, custom made window awnings in San Diego County. Rely on our highly experienced staff to design and install stylish, long-lasting window awnings with your exact specifications in mind. With a range of 20 different color options, you will be able to enhance the aesthetics of your property while effectively cooling your home or business and shielding your furnishings from the sun's damaging rays. Call Aluminum City today. 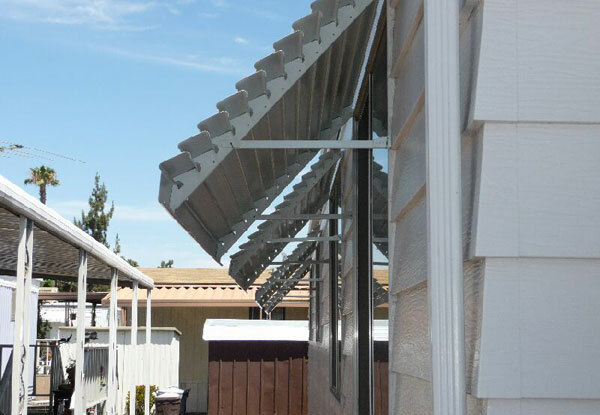 Our window awnings are the perfect solution for your Pacific Beach property's shading needs. Trust Aluminum City to custom-design and install attractive, long-lasting door hoods for your Pacific Beach home or business at very competitive rates. Our highly skilled staff will not only design a custom door hood to perfectly fit your door, but also provide expert installations with quick turnaround. Using high grade materials from a trusted manufacturer, our door hoods are fabricated from thick 3.5" aluminum panels and fixed at a 45 degree angle for optimal sun protection. We have served thousands of satisfied clients throughout San Diego County and receive great feedback on how our high quality door covers offer shade to guests and provide protection from the sun's harmful rays. To learn more about Aluminum City's door hood design, sales, and installation services in Pacific Beach, give us a call today. 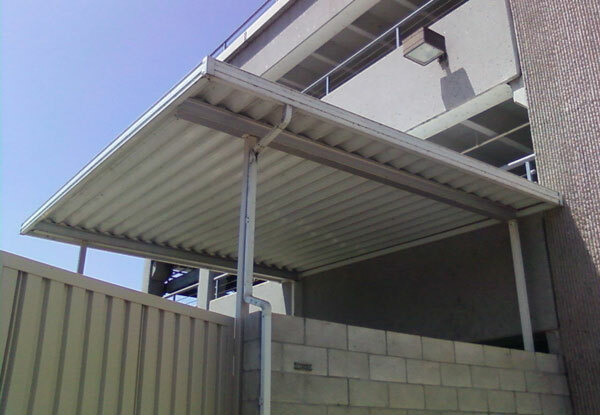 Trust Aluminum City to provide your residential or commercial property in Pacific Beach with a high quality, custom-made carport to protect your driveway or parking lot. Our carport awnings are a cost-effective and long-lasting solution for sheltering cars, boats, and other vehicles and equipment from possible damage caused by seasonal elements such as rain, heat, natural debris, and more. At Aluminum City, we offer both attached and freestanding carports fabricated out of the premium-grade materials provided byFour Seasons Building Products, one of the industry's leading manufacturers of carports, and can easily custom build structures to accommodate anywhere from one car to one hundred. 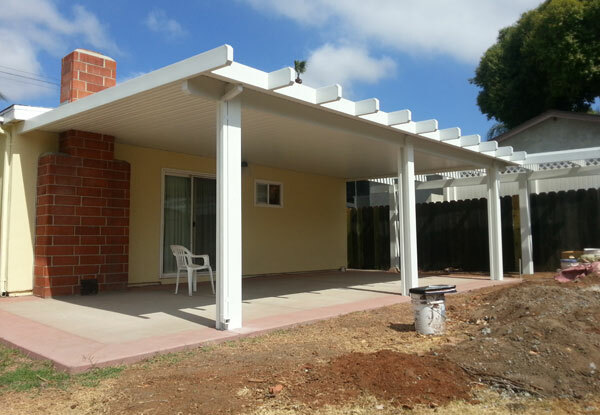 Our installation specialists will survey your property and offer design suggestions to ensure your carport will seamlessly complement your home or business in Pacific Beach. Call us today to get a free estimate and schedule your on-site consultation. 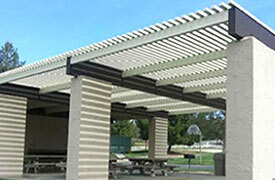 Rely on the structured shade experts at Aluminum City to install a custom-made, high quality pergola at your residential or commercial property in Pacific Beach. Our beautiful and durable lattice-top patio covers will not only provide cooling shade, but also add aesthetic value to your property. With a variety of designs, end cuts, finishes, cuts, and more, you'll be able to customize your pergolas to compliment any outdoor area. 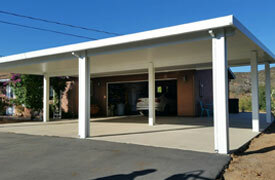 Trust Aluminum City to provide you with Pacific Beach's best value for custom, maintenance-free pergolas. 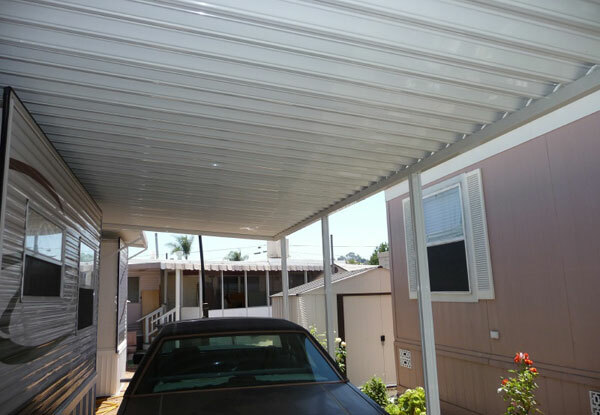 Since 1963, Aluminum City has provided homeowners in Pacific Beach with a variety of attractive and durable awning products such as carports, pergolas, California rooms, door hoods, window awnings, and patio covers. Our well-known reputation for exceptional workmanship and customer service precedes us. As such, much of our business comes to us through positive word of mouth. Trust our highly experienced patio cover experts to provide the knowledge and professional recommendations you need when designing a shade solution to complement your home's existing design. To schedule a free on-site consultation and estimate, give us a call today. The team of professionals at Aluminum City will expertly install patio covers, awnings, carports, lattices, window awnings, door hoods, and California rooms to perfectly complement your commercial property in Pacific Beach. Our patio cover products not only provide shade, but also accent and enhance a property's aesthetic appeal. With a variety of enamel paint colors, two distinctive finishes, four end cuts, two textures, and more, you'll be able to customize your awning to your exact specifications. Whether you need window awnings for your apartment complex or a patio cover for your restaurant, we've got you covered. Our patio covers require zero maintenance and will never bubble, flake, rust, or rot, giving you the best value for your investment. Aluminum City is proud to be an authorized dealer for Four Seasons Building Products and utilizes the highest quality materials in the industry to ensure a longer-lasting product. To get a free estimate for any of our patio cover products, give us a call today. We'll schedule a free on-site consultation at your Pacific Beach commercial property. I love that they came on time, and it looks awesome! It was done on a timely manner, and for a good price! I would definitely recommend Aluminum City! 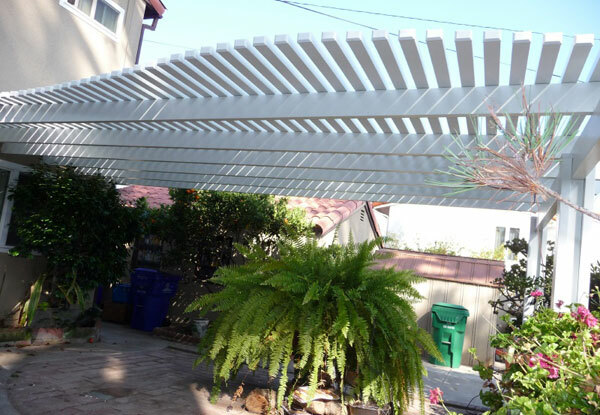 We installed this lattice patio cover in Pacific Beach, CA. The aluminum patio cover has an embossed wood grain finish and features custom cut lattice tubes to create a curved effect.